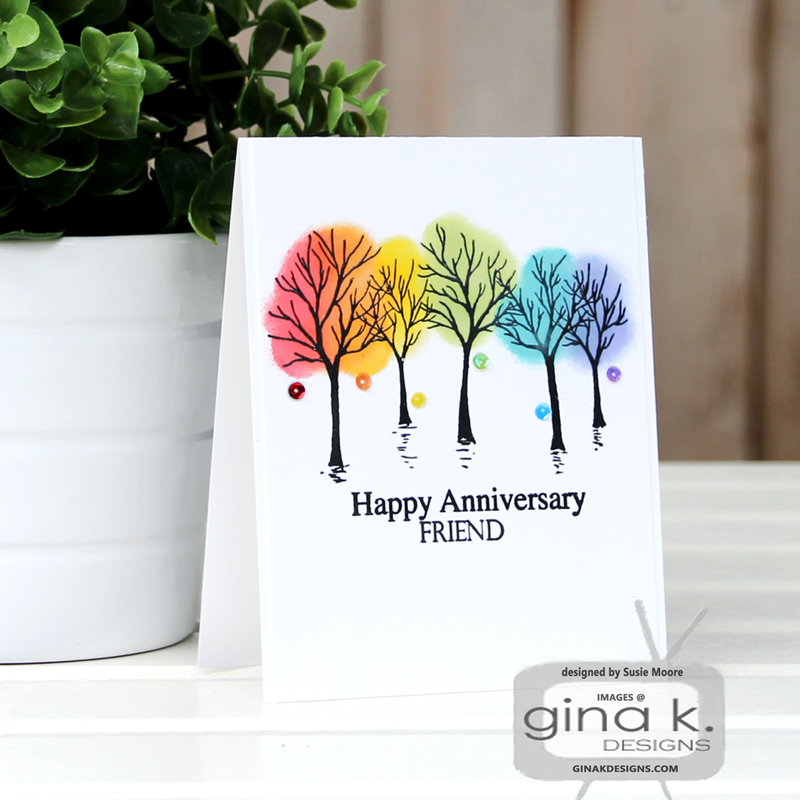 The Cast and Crew for Gina K. Designs welcomes you to day one of another fabulous blog hop celebrating the new stamp sets by Gina K. and the illustrator team from Gina K. Designs! We hope to inspire you with some beautiful card projects as you hop along to each designer’s blog! 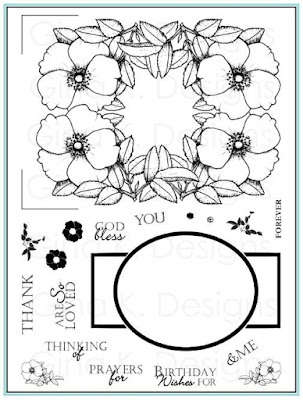 Today we are featuring the stamp sets by Melanie Muenchinger and Theresa Momber. How pretty, Susie! Love the rainbow effect behind the trees! Wow. I adore your rainbow trees! Aww, I love the colors here on both, great use of pastel and rainbow brights! Your color choices are wonderful! Lovely cards. 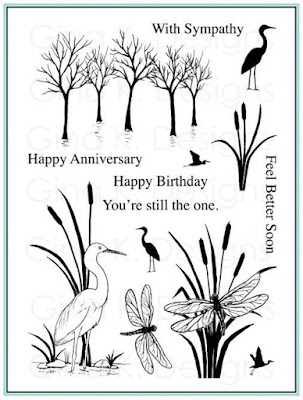 I especially love the Wetlands card. Very creative way to color the trees. The flowers are lovely in the various pastel shades. I like the rainbow behind the trees. Very nice! Susie, I love the touch of colour on each element in your cards, what a great idea. Simply adorable. Lovely cards!! Your choice of colors is beautiful. SQUEAL!! your rainbow trees!! ADORE!!! I love that you coloured the flowers different shades too, genius thinking Susie! Love these cards! Such colorful creations Susie! Wonderful cards. I love your multicolored trees - what a terrific idea. Gorgeous coloring on the Rose Frame. Thanks for the great inspiration. What unique use of color! I LOVE it!!! Beautiful cards! Love your colors! Thanks for sharing! Brand new to Gina K Designs and the blog hopping. LOVE your blog site and your cards are gorgeous! I've been mezmerized looking at and reading your entries. Today's samples are SO beautiful. Wonderful cards and my favorite is the trees with the varied colors. That is the look of Autumn to me. Love your cards, especially the rainbow trees!! What a great idea for the background on the trees. Will definitely steal that idea for something soon. Very pretty colors on both cards. So cool the rainbow effect on those trees! I'm in love with your colorful interpretation of the Wetlands 2 set! Such pretty cards, love the color combos behind the trees. Luv what you did with the trees and the rainbow colors. Both of your cards are so pretty. I love the rainbow colors you used on the Wetlands 2 card! Love how you colored these. Great cards - especially the colorful trees! The tree card card is very creaive. Your cards are beautiful. I love the rainbow coloured trees. 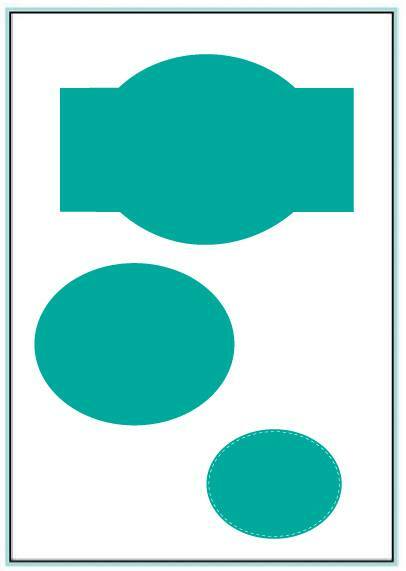 Wonderful colors on your cards! So pretty. I love the color palette you chose. So cheerful and bright. I think you did do justice to the stamp sets. Beautifully done. I really like the dies on that flower set. So versatile. 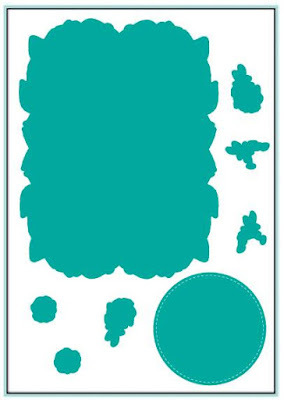 Love both card designs, those trees so simple but I would not have thought of that. Beautiful cards Susie, love the splash of color. These are both gorgeous! I love the way you used color on them. Great cards! Love the rainbow of trees!! OMG! You were one busy stamper! Bet you loved playing with all those new stamps! All 5 of your cards are amazing! I really think I love the poinsettias best though! So pretty! Great designs on all of them! Thanks for sharing your creativity with us! Beautiful job, I really love your color combos!